A photo album from WWII was stolen by British researcher who had promised to return them. A bronze memorial plaque had been stolen from the Hermosillo church three weeks ago. 145 Toledo Museum items that didn’t sell in 2016 are being offered now. The bust of Drusus Minor was purchased from Phoenix Ancient Art, but had been stolen from a Museum near Naples. Baldwin asserts that the painting he bought from the dealer was not the one that was delivered to him, but didn’t notice the problem for 6 years. Many of the victims of Eric Ian Hornak Spoutz may not know they’ve got forgeries on their hands. The ad was called ‘McDonald’s Presents the Vibe of Bushwick NY’, and Bushwick’s vibe creators were not so into that. He also shouted “Go back to your country!” to a security guard. The image of Obama as an Egyptian Queen was copied by Chris Devins from an image created by Gelila Lila Mesfin. 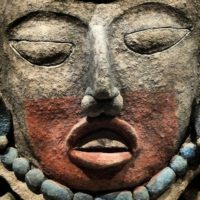 Benson scammed the museum out of $900k while working in their membership department. The museum is now considering removing the book, donated by a WWII Intelligence Officer, from display. Germany is waging a court battle over the Guelph treasure, which now is able to be heard in a US court. The Prussian Cultural Foundation said that the claim on a number of objects is without merit and they were not subject to forced sale. The purchase was made decades ago, but the library only discovered they were stolen. Im Kinsky maintains it was bought in good faith under Austrian law and I wonder who would actually buy such a tainted piece. The great-grandkids said that Guggenheim had stipulated that her collection not leave Venice between Easter and 1 November. The pieces were in artist Jimmy Kouratoras’ van which was stolen. This was from the oldest Jain Temple in the town of Gneshpur. Not a surprising result, diplomatic measures were urged. More dodgy south Indian pieces in the National Gallery of Australia. 126 antiquities are going to be returned to India on 17 May. The piece was discovered missing three years ago, it had been commissioned by the prefectural government. The Gwancheon branch of the National Museum of Modern and Contemporary Art will unveil it even as experts dismiss it as a fake. The promo art looks “strikingly similar” to art for another war game.